I am back, and first off let me say that I have missed you all greatly! I have had to take some time off of Beauty Blogging as I am in the midst of finishing my first book.. A memoir on my life. Have had a lot of awesome transitions as well, but now that things are leveling off, I should be able to get back on my weekly schedule. Thank you for all your support! I am Über excited to share with you all a beauty 'discovery' that I have made, and have incorporated in my life that past couple of months. I laugh at me discovering this, as it's been used for centuries! I'm referring to the wonders of fresh ORGANIC coconut oil.... Not the coconut oil from the hair stores, but real, edible coconut oil. 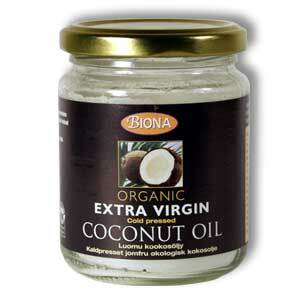 You might just put away all your expensive potions and lotions after trying coconut oil in your daily beauty regimen. It’s loaded with Vitamin E and fatty acids (such as lauric acid, myristic acid, capric acid and more) which are anti-fungal, anti-oxidizing and anti-bacterial, just the sort of stuff that our skin and hair happily respond to! It can be used as an all-over moisturizer (with excellent results, apply right after showering and throughout the day as you like), but here are eight different ways you can take advantage of it’s natural goodness to treat problem areas. I also added tips at the bottom of the page outlining what to look for when buying it and where you can find it (locally and online). Simply rub some into the damaged ends a half hour before showering. You can also use it as a masque for the hair. 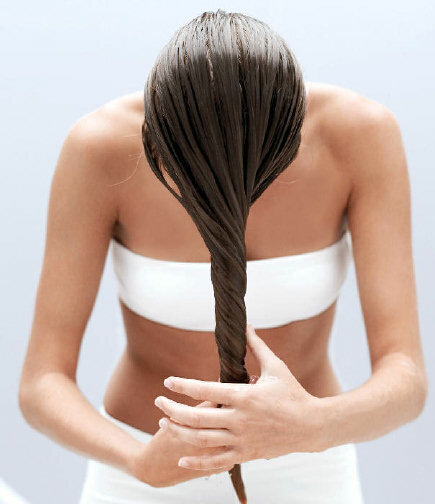 Dampen your hair, and apply a hefty amount to the hair from the root, to the ends. Where a shower camp, and let it sit for an hour.... Later, wash as you normally would. I promise your hair will NOT feel greasy. I use it to two strand twist my natural curly hair.. It smells great, and promotes hair growth. After washing, drying and styling, rub a small amount of oil into the palms of your hands then lightly apply. If you have a problem with frizz, the above treatment will also help tame it. Mix equal parts baking soda with coconut oil and massage into face. Rinse with warm water to remove baking soda residue. Rub in each morning and night until desired results are achieved. Rub a bit into affected area and allow time for your body to absorb the nutrients. Treat daily for as long as needed. Did I mention how great this smells? DECADENT. Clean face as you normally would, pat dry then apply a light coating. Leave on overnight (allow at least 15 minutes to absorb it before going to bed). Repeat each night until desired results are achieved (may take some time depending on how severe the acne is). If you have back acne, wash and dry skin then apply some (do this at least 15 minutes before laying down or going to bed). Note: Some may experience an increase in oily skin and breakouts, this can be the case for several days (even a week or two) until the skin is detoxified. Yes, this can be eaten too! Try it in cooking, in baking (replacing lard and fat) and as a spread (like butter). Coconut oil has been linked to increase metabolism, which in turn, keeps your body fit. Choose pure virgin or extra-virgin (preferably organic) which is unrefined, cold-pressed and non-hydrogenated. To use: It will be solid (at room temperature), heat in a hot water bath for a couple minutes (scoop a spoonful into a small glass bowl that’s resting in hot water) or rub a bit between your hands to soften and warm it up a bit before applying. How much to use: A little goes a long way! You don’t need to glob it on, apply in light layers so your body absorbs it readily. Where to buy it: Try your local pharmacy, health food store, grocery store, or even Whole Foods. It must say, "USDA Organic" however. This stuff is surprisingly inexpensive considering all the benefits it has to offer! How to store it: Keep it sealed in its original container in a cool, dark place (unrefrigerated). It has a shelf life of about 2 years. Note: If you are allergic to coconut, chances are you’re not going to have a good experience using it topically. Your best bet is to not use it as a beauty treatment to avoid any physical reactions an allergy may trigger. That's all for now! I PROMISE I will be back soon! Until then love on you, and others too!